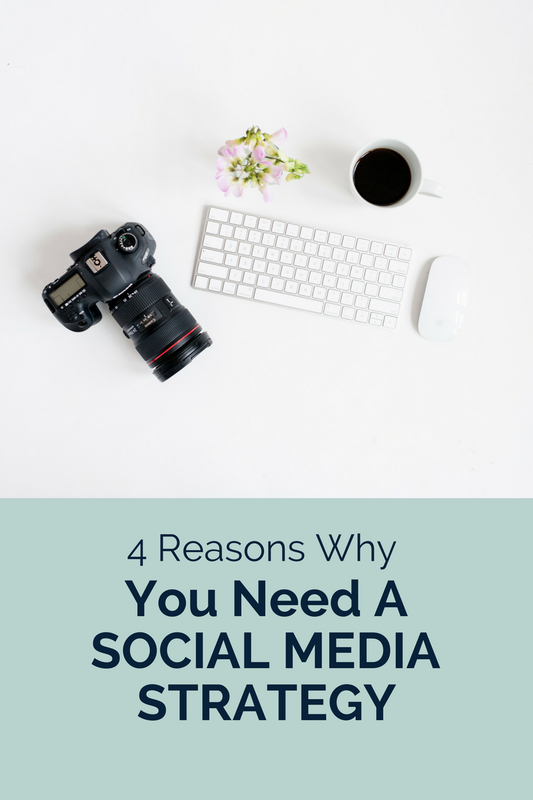 4 Reasons Why You Need A Social Media Strategy. If someone asked you what your social media strategy was, would you have an answer? ….or would you have a blank stare and mumble something about how you try to post once a day? On the surface it seems like the people and businesses you follow are probably online all day sharing stuff as they find it. They are working smarter by planning their content ahead of time and using a strategy that encompasses all the platforms they are on. Why can’t you just post a funny cat gif whenever the mood strikes? Because you will always feel behind, that you are trying to play catch up, instead of having a solid plan in place. If you are thinking that creating a whole social media strategy is a lot of work, you are right. But it’s a lot less work that frantically searching the web at 4 p.m. trying to find some decent content to share. I know it seems kind of counterintuitive, but here’s the thing, logging into all of your platforms every day and just posting something random is a lot of work. Instead, you can plan out your posts for the whole month with a couple hours of dedicated planning. Then use a scheduler to load up posts and you can set it and forget it. You may not even realize how much time you are spending on social media by not working out a strategy. A couple hours of monthly planning will allow you to make sure all your platforms are covered without having to get pulled away from more important things throughout your day just to post. 2. Allows you to post consistently. Have you ever been done working for the day, or even gotten to the next day to realize you haven’t posted anything on social media in a while? While sometimes ROI of social media activity can seem unimportant, maintaining a consistent involvement in the platform is more likely to get these platforms to show your stuff. It also shows your current followers that you want to deliver value to them as well as shows potential new followers that you are active and ready to engage. Having a strategy that tells you want you're going to post when, takes the guesswork (and forgetfulness) out the equation and allows you to have a pipeline full of content ready to be shared. Schedulers, like Hootsuite, also make it possible for you to schedule posts ahead of time so you can be off on vacation and everyone will think you are still hard at work. There are a number of different platforms that your business could have profiles on. If you are posting different kinds of things on all these platforms, you are going to have a confused brand message. Likewise, if you have a new product or service you are launching, you want to make sure that it’s being broadcast to all your channels, not just one. So say you are launching a new product, you can write an article that would be shared on Facebook, short videos of it being used in action on Twitter and Instagram Stories, as well of real life shots on Instagram. You can schedule these all out ahead of time. This allows you to make the most of your campaign by using all of the platforms in ways that complement each other. Creating a social media strategy allows you to really think about the messaging that you want your business to portray. You are in control of what you are posting making sure it has high value for your followers and positions you as an expert. This allows you to make sure you are sharing things of value. It also creates a measure for how you decide which content you will share. You will be able to tell if something misses the mark, which will only help your credibility. If you ever get to the point where you are ready to hand off the management of your social media, having a strategy in place will allow the manger to see what you are doing and follow in your footsteps. It will cut down on training time, as well as allow them to understand how you operate. They can then help you evaluate what is working and what might be worth changing in the future. Having a great plan will help not only help you have a strong brand awareness, but it will allow you to work smarter not harder on your social media growth. By taking a few hours a month to plan out what kinds of content you are going to share, you can be sure to provide consistent value to your followers and create brand awareness with little stress and more time to work on the things that truly matter in your business. I’d love to know in the comments how you plan your social media strategy!